I mean, imagine this scenario. 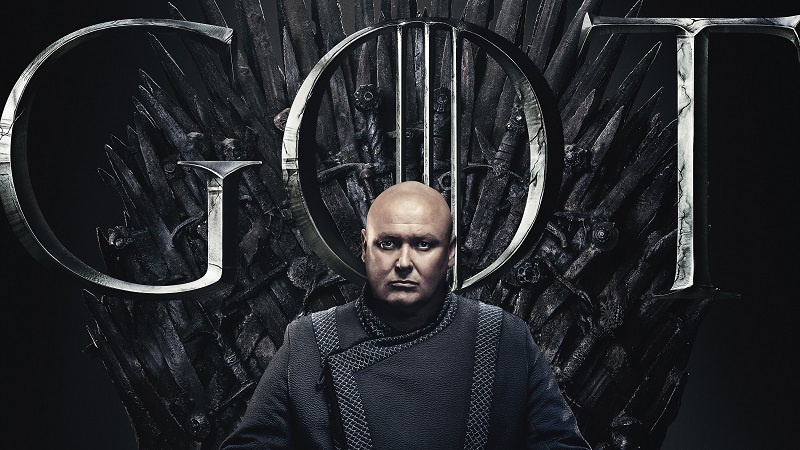 Pat (that would be me, employing the 3rd person like Doctor Doom) writes 3000 words on a speculative piece about Varys. How he’ll interact with characters X,Y, and Z. And how his involvement in the final season might echo back to important moments from the earliest seasons. The show airs, and Varys is hit by a moon meteor ten minutes in. Nothing Pat has written includes a sudden and unexpected death for Varys. The feature gets published anyway. Mockery begins. I mean, I don’t mind being wrong, I just want to potentially be right for a period of time. This will be my last article for Watchers before Season Eight starts up, but I hope to write something for each episode, some analysis of a scene or situation that I’ll think deserves some of my deep dives or head canon insertion. Thanks everyone who has followed my blog and my writings on Watchers on the Wall. I hope we all have a great time watching the final season. Stay in touch. Winterfell: Coming Together to Fight the Night King. Or Each Other.